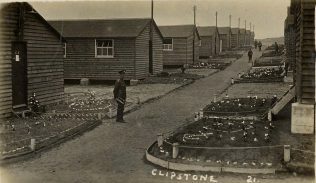 When Soldiers Huts had Gardens! 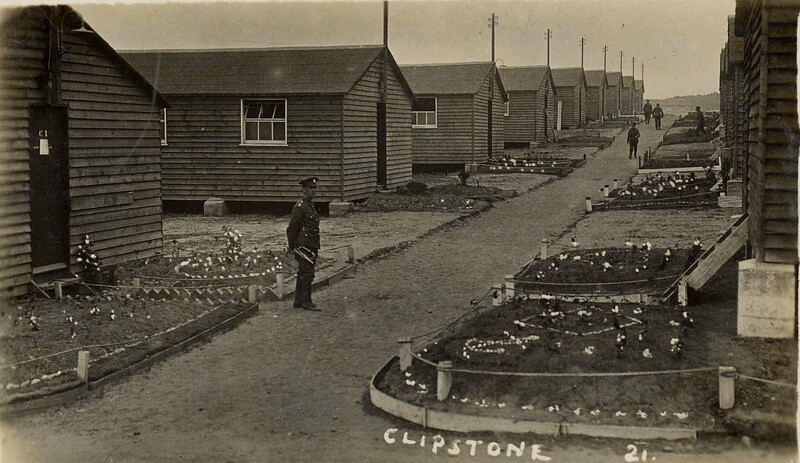 Clipstone Camp was a massive army camp of wooden huts which was built at Clipstone near Mansfield in WW1. While this camp was just one of those built to train the men of Kitchener’s New Army, it is believed to be the largest. 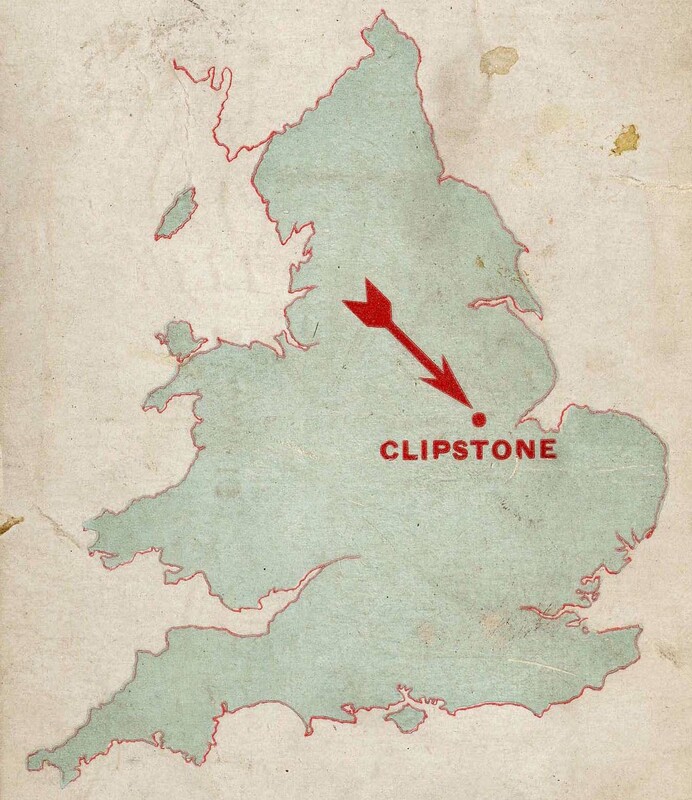 Clipstone Camp could hold upwards of 30,000 men. Men of the UPS (University and Public Schools Brigade) were the first to arrive in May 1915. Over the next four years, men of many regiments came to the camp. The once peaceful countryside was alive with soldiers digging trenches, practising on rifle ranges and stirring up the dust on country lanes as they went on training marches. 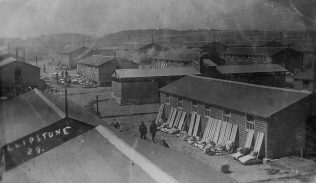 The camp provided a new purpose in the Great War for people in the locality. The soldiers welfare was looked after in the towns and villages, (sometimes a little too well by a few local ladies!). Business opportunities prospered with the spending power of the soldiers, and entries in Parish Registers show that romance was also in the air. 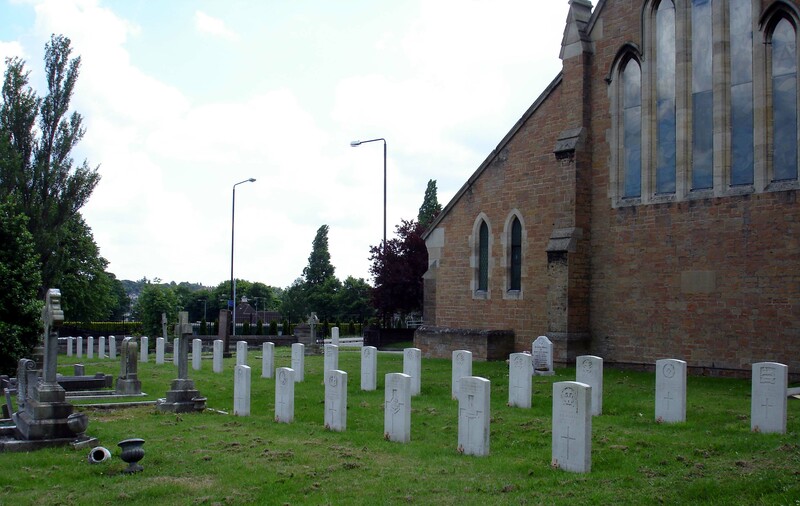 The churchyard of St Alban’s, Forest Town reveals the camp also had its deaths. Twenty-eight soldiers and one nurse from the camp hospital are buried there. Towards the end of the war WAACS were stationed at Clipstone Camp and in its final years it was used as a demobilisation camp. Many of the huts were then sold, and used as village halls, and for other purposes. My children and I have found some old trenches in Sherwood pines. There are also some gun dug outs a rifle range and what look like bomb craters. It is a little weird to watch my children playing in what were essentially training facilities’ for killing. They haven’t got much of a clue, but I can remember playing in trenches near Rainworth when I was their age. Its so tranquil now. We often went to Ling Forest as we knew it (Strawberry Knob as a child for picnics with the family and taking our dog for a walk. Later on when older a group of us would go and play in the old WW1 trenches, but when the Americans came to Mansfield it was used for Tank training by them. (See my page on Tanks and soldier - WW2 memories). Does anyone remember practice trenches at a place locally called Strawberry Knob outside Forest Town?